Gov. 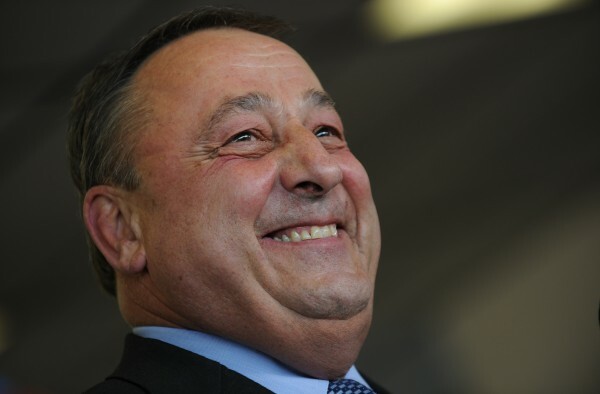 LePage smiles during a press conference at a local car dealership in Waterville in November 2010. AUGUSTA, Maine — Lawmakers on Tuesday began the process of confirming more than 90 gubernatorial nominees for state commissions and boards ranging from the lightning rod that is the Land Use Regulation Commission to the lesser-known Maine Milk Commission. Collectively, political experts said the nominations are a way for Gov. Paul LePage — or any executive — to extend the reach and influence of his or her office on a variety of important topics. During Gov. Paul LePage’s first regular legislative session that began in January, lawmakers focused largely on his cabinet appointments. Those posts were much higher profile and, in many cases, generated more discussion among lawmakers. By contrast, most of the 93 nominations that will be taken up through next Tuesday are expected to be confirmed without much of a fight, although some could face scrutiny. Democrats have expressed concerns about the nomination of Robert Dunphy to the LURC board since Dunphy has testified publicly in favor of dismantling LURC. Others are curious about the governor’s nomination of his transition team co-chair Ann Robinson to the board of directors for MPBN. Only a few months ago, LePage proposed cutting public funding for MPBN, an idea that did not make it into his final budget. Brewer said it’s still early in the LePage era, but he has so far proven to be aggressive in using every tool available to get his positions advanced. All nominations go first to the appropriate Legislature’s standing committees, such as the Education Committee or the Judicial Committee. On Tuesday, the Agriculture, Conservation and Forestry Committee was considering two nominations to LURC, two to the Board of Pesticides Control, one to the State Harness Racing Commission and one to the Maine Milk Commission. All the names then must be approved by a majority of the full Legislature during next Tuesday’s special session. Adrienne Bennett, the governor’s spokeswoman, said the process of selecting nominees to serve on the various boards began shortly after the governor took office. The number is higher than usual, Bennett acknowledged, but she also said there were a lot of vacancies, something that happens when one administration clears out and another settles in. House and Senate Democrats have not made any major objections publicly to any of the nominees, but insiders said the list of names shares a common theme: many were donors to the governor’s campaign. Bennett said the governor opened up the nominations to anyone who was interested. His final list that was sent to legislators represents “the best and the brightest,” Bennett said, although she acknowledged that not everyone will support all of the nominees. There are instances where appointing a polarizing person to a particular commission can backfire, Brewer said, if only that it energizes political or ideological opponents. Democrats did question many of the governor’s cabinet appointments several months ago. In some instances, LePage’s appointments could last longer than he does. Some key policymakers still employed in Augusta were appointed by Gov. John Baldacci.